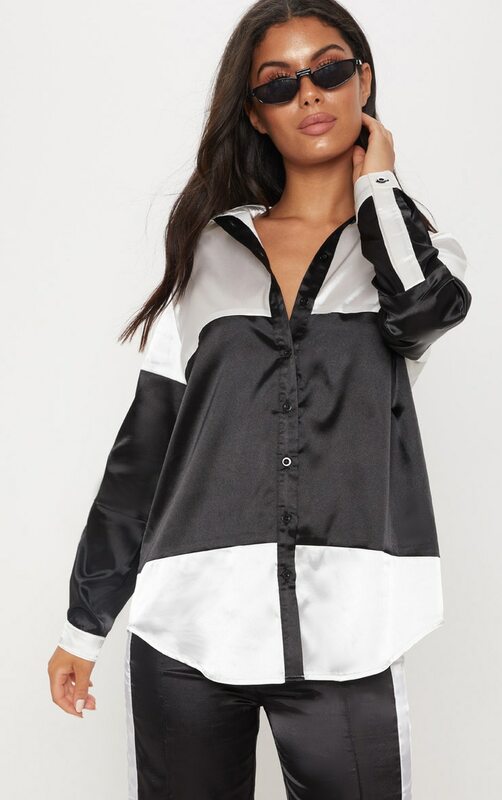 We are crushin' on this oversized shirt girl. 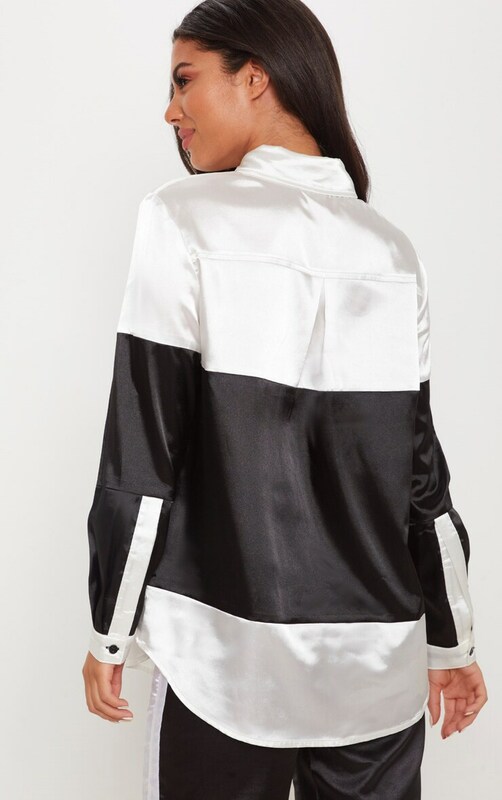 Featuring a satin material with a black and white colour block design and a button fastening. 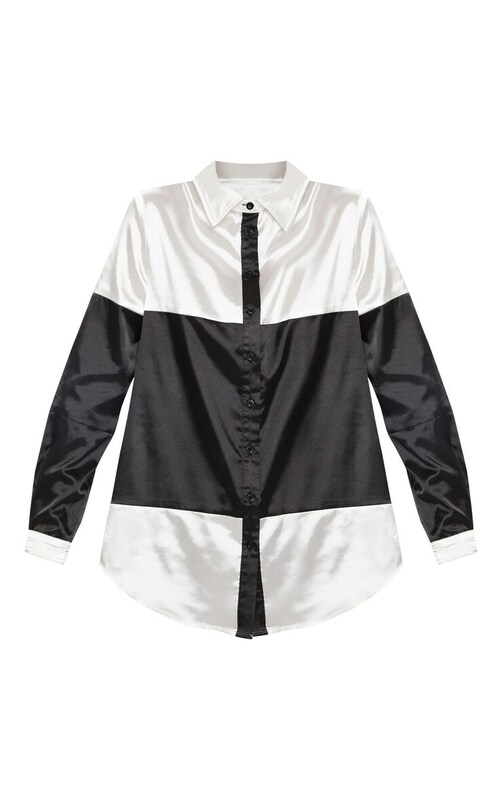 Style this shirt with the matching trousers and strappy heels for an ultimate weekend worthy look.